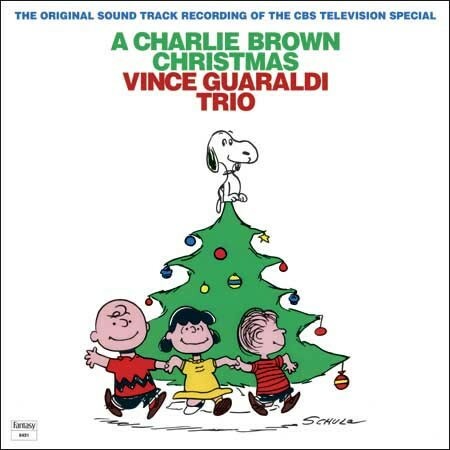 Vince Guaraldi's soundtrack album for "A Charlie Brown Christmas," the classic 1965 Peanuts television special, has been selected as one of this year's titles to be added to the National Recording Registry. Each year, the Library of Congress selects 25 "culturally, historically or aesthetically significant" recordings to be preserved in the Registry. This year's selections range from a 1888 Edison cylinder recording for a talking doll to Leonard Bernstien's 1943 New York Philharmonic debut to Prince's 1984 album "Purple Rain." “A Charlie Brown Christmas” introduced jazz to millions of listeners. 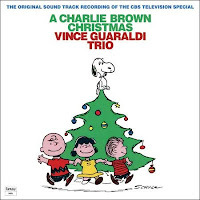 The television soundtrack album includes expanded themes from the animated “Peanuts” special of the same name as well as jazz versions of both traditional and popular Christmas music, performed primarily by the Vince Guaraldi Trio. The original music is credited to pianist Guaraldi and television producer Lee Mendelson. Best remembered is the “Linus and Lucy” theme, originally composed by Guaraldi for an earlier “Peanuts” project, which remains beloved by fans of the popular television specials, those devoted to the daily newspaper comic strip, and music lovers alike. For more information about the Registry and this year's selections, see Derrick Bang's post at the Impressions of Vince blog, the National Recording Registry's list of this year's selections, or this article from the Washington Post.